Relax! Our total independence from any one manufacturer means your choice of some of the most efficient and cost effective MVHR units on the market just got even wider! 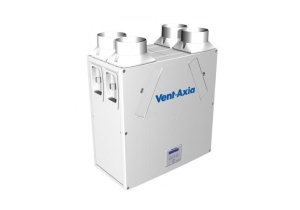 Please find following just a taste of the vast range of SAP Appendix Q and Passive House accredited heat recovery ventilation units we are currently able to offer you. Suitable for most residential applications from a single room to a multi-storey property. Quiet by design, we offer units which can be installed either vertically or horizontally, wall or ceiling mounted either within a loft void or in a designated plant room. Don't forget to check out some of the control options available to you. 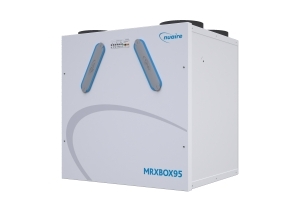 This new generation Passive House approved heat recovery ventilation (MVHR) has a unique diamond heat exchanger that features an especially large surface, which allows it to achieve a higher level of efficiency. Its guaranteed quiet operation and protection against excessive humidity contributes to a significantly more comfortable and healthier room environment. The ComfoAir Q's innovative sensor technology automatically ensures balanced supply air and extract air volumes. Includes intelligent temperature control of the intake air for best energy efficiency. A wide range of control options is available from a simple display on the unit, to remote WiFi and app controls and building control systems via the KNX interface. 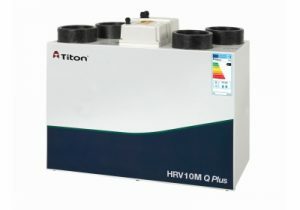 The HRV10M Q Plus is designed with extremely low power consumption in mind. 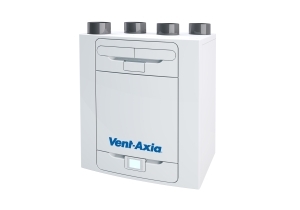 It incorporates a highly efficient heat exchanger that can be fitted in larger properties. The unit is programmed via the LCD Aurastat wired controller and has connections for external switches that can be used to activate the 0-60 minute boost overrun. It also has a built-in condensation drain and intelligent frost protection. The unit is lightweight so handling when inside the property is made easier. The Sentinel Kinetic Plus is one of our best selling products. Complete with an automatic summer bypass, built-in condensation drain and integral humidity sensor which increases the fan speed in proportion to the relative humidity. Comes complete with remote wired controller (other control options are available). 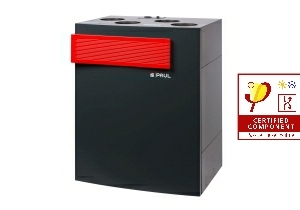 Passive House certified MVHR with 100% automatic summer bypass and patented reverse flow duct heat exchanger. Optional extras include, humidity recovery (enthalpy exchanger), integrated defrost pre-heater with energy efficient pulse controlled PTC heating element. Can be controlled by LED control unit or coloured TFT touchscreen panel. Ideal for larger homes and multiple occupancy units such as care homes and student accommodation. Its 180mm/200 spigots maybe re-positioned to give horizontal or a combination of vertical and horizontal connection. Features include automatic summer bypass, integral humidity sensor and unique folding filter for removal when access is restricted. 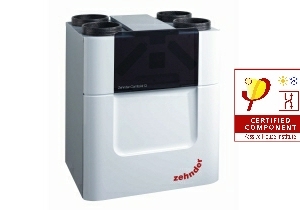 A small lightweight heat recovery unit suitable for apartments and houses. Like the rest of the Kinetic range, it has an automatic summer bypass, built-in condensation drain and integral humidity sensor. 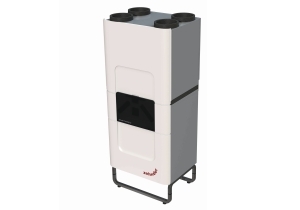 The lightweight, compact Sentinel Kinetic BH suitable for modest sized homes and apartments. Can be fitted into a standard sized kitchen cupboard. Complete with summer bypass and integral humidity sensor and built-in condensation drain. 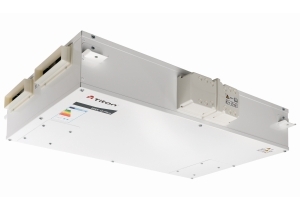 This ultra quiet, lightweight unit has all the benefits of the Kinetic range including 100% summer bypass, built-in condensation drain and integral humidity sensor. Besides a touch screen controller, optional extras include WiFi connectivity and app control option (available late 2016). Ideal for flats and apartments due to its low profile. Features 100% summer bypass, intelligent frost protection and fully adjustable boost overrun timer. Works with the auralite and aurastat controllers. 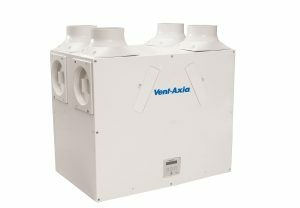 Perfect for small modest homes, flats and apartments, this compact lightweight MVHR will fit neatly into a kitchen cupboard or in a ceiling loft. Very simple to install and up to 70% quicker to commission due to the manufacturers innovative control technology. Features include summer bypass and integral humidity sensor and a smart timer facility to prevent boost overrun. 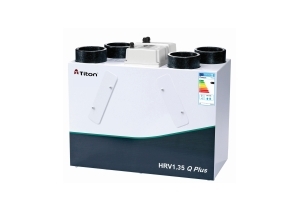 The high capacity HRV1.35 Q Plus MVHR unit with heat recovery is independently tested by the BRE and maintains an ultra compact size despite its improved airflow performance. 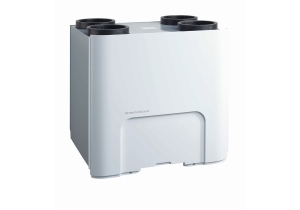 Combining extremely low power consumption and a highly efficient heat exchanger, this unit enhances SAP performance via Appendix Q, and yet remains versatile enough in size to be equally as functional in larger apartments as it is in small to medium sized dwellings. The HRV1.35 Q Plus comes in Eco version only with a 100% summer bypass, it also includes intelligent humidity options and can be fitted with the auralite® status indicator or the aurastat® controller. 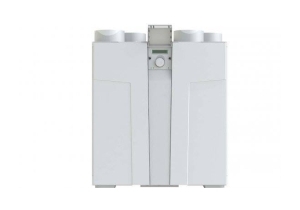 The highly versatile compact HRV1.75 Q Plus is lightweight but large enough in size to be equally as functional in larger apartments as it is in small to medium sized dwellings. The Eco versions offer a 100% airflow diverting Summer Bypass, They also include intelligent humidity and frost protection options and can be fitted with the auralite® status indicator or the aurastat® controller. The enhanced capacity ultra-compact HRV2.85 Q Plus MVHR has been specifically designed to give improved performance over older models, in line with new build design requirements. 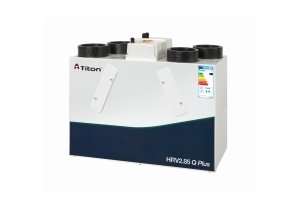 Combining extremely low power consumption and a highly efficient heat exchanger, the HRV2.85 Q Plus is specifically designed to enhance SAP performance via Appendix Q, yet still small enough to be easily incorporated into medium or large sized dwellings. The Eco versions offer a 100% summer bypass and intelligent frost protection and intelligent humidity options that can be fitted with the auralite® status indicator or the aurastat® controller. The ComfoCool air tempering unit used in conjuction with the ComfoAir Q helps to reduce humidity along with the intake air temperature which in turn impacts on the internal environment and comfort levels. 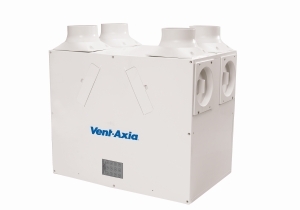 It can be easily integrated into your ventilation system to provide filtered fresh supply air whilst consuming a low amount of energy and at low noise levels. Cooling is automatically activated by a user defined comfort temperature in combination with monitoring both intake air and internal air temperatures. It is also equipped with a compression cooling system, as is used in refrigerators to reduce the temperature, in this case of the incoming supply of filtered air. 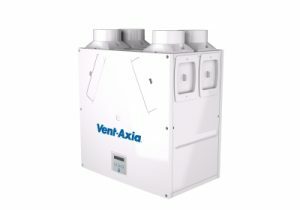 The unit differs from traditional air-conditioning by using the air performance of its sister MVHR system to deliver the available cooling power. The ComfoCool Q600 is designed to be placed on top of the ComfoAir Q using the mounting frame (left).